FIBEGA, the premier worldwide gastronomy tourism fair, will take place in the U.S. for the first time next year from May 10-12, 2019. FIBEGA will bring together culture, gastronomy and destinations from different countries and regions to the Miami Beach Convention Center. Due to the city’s prestige as an international epicenter for tourism and gastronomy, all future editions of the fair will remain in Miami. FIBEGA 2019 is expected to surpass last year’s Buenos Aires edition, which received more than 22,000 attendees from all over the world and featured more than 800 global exhibitors, with heavy presence from Latin America and Europe. FIBEGA intends to become the most important networking fair in the tourism and gastronomy sector where destinations, enterprises and global institutions will meet for work business, development and tourism. According to the United Nation’s World Tourism Organization (UNWTO), more than 25 million American travelers visit international destinations each year, and culinary tourism is identified as a primary motivation for travel. Each edition of this international fair brings the best diversity of gastronomy, tourism and culture from international regions with a daily agenda offering varied activities. May 10, the first day of the fair, will be exclusively curated for gastronomy and tourism industry professionals. Guests will also be able to build and strengthen their current network, with the opportunity to meet tourism experts and engage with representatives from global destinations. From May 11-12, both industry professionals and consumers interested in gastronomy and travel will be welcome. With exhibitions featuring destinations from all over the Americas, Europe, Africa and Asia, FIBEGA will offer visitors a chance to get a taste of the unique flavors and personalities that define various countries and regions. 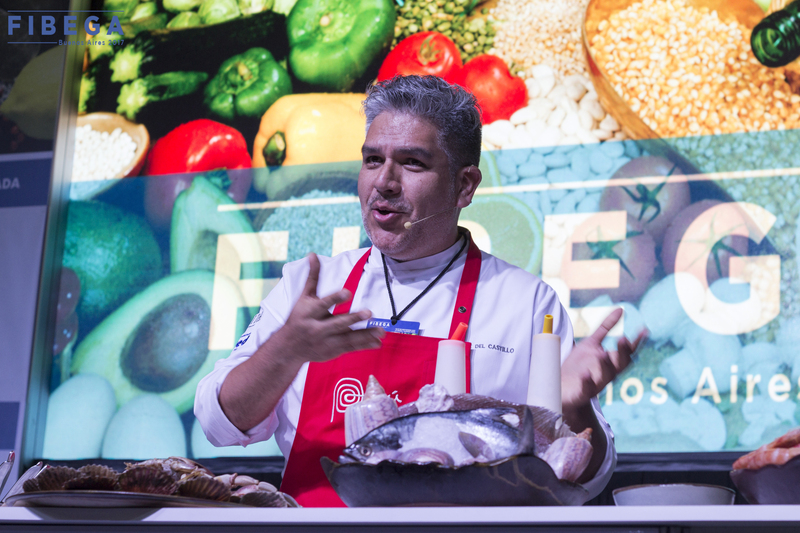 FIBEGA is an annual international fair that brings together culture, gastronomy and destinations from different countries and regions, and will take place in the U.S. for the first time next year in Miami May 10-12, 2019 at the Miami Beach Convention Center. May 10th is open to professionals, while May 11-12 is targeted to a mixed audience of professionals and the general public. Due to the city’s prestige as an international epicenter for tourism and gastronomy, all future editions of the fair will remain in Miami. The original FIBEGA was held in Merida, Spain in 2016, followed by Buenos Aires in 2017.